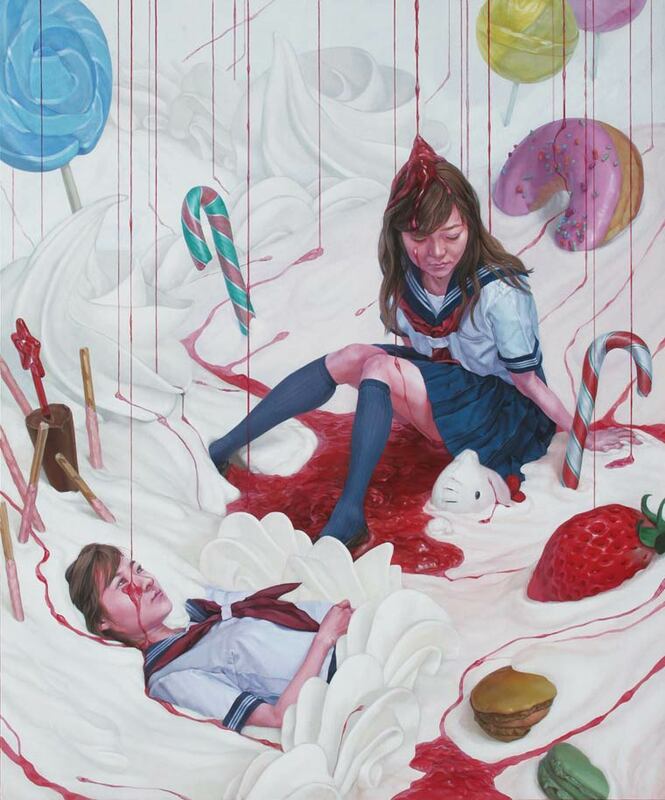 Uniformed schoolgirls drowning in icing and fighting strange giant toys in an unsettling pale candy wonderland. 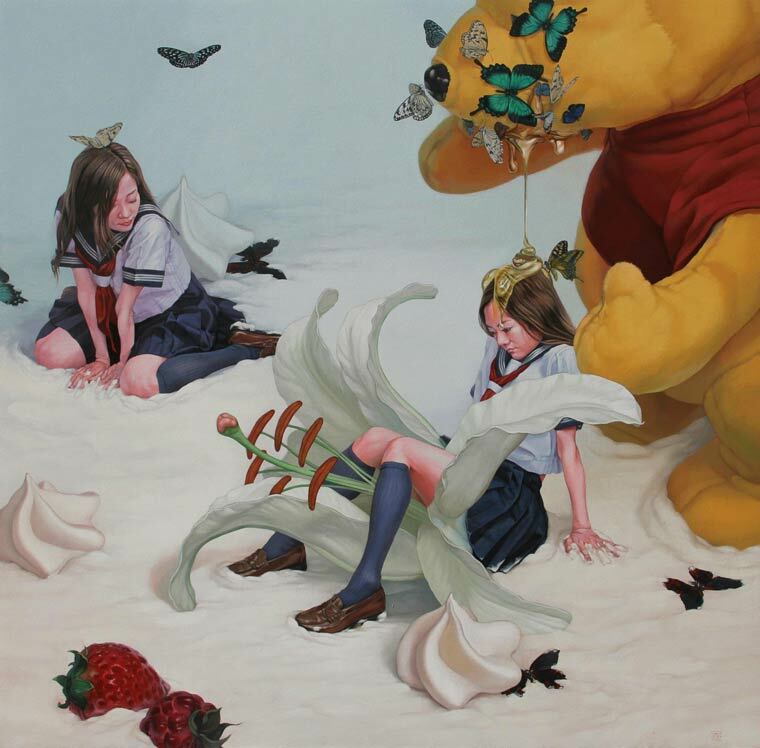 Japanese artist Kazuhiro Hori is inspiring us on this grey spring day. We want to run around the world he has so realistically created and maybe befriend some of the malevolent looking toy monsters. 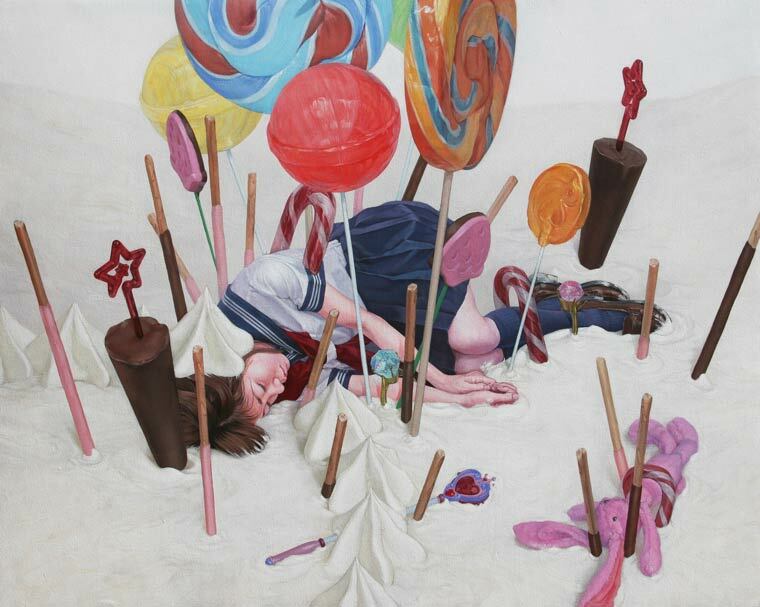 We love the blend of saccharine sweet with the morbid and grotesque. 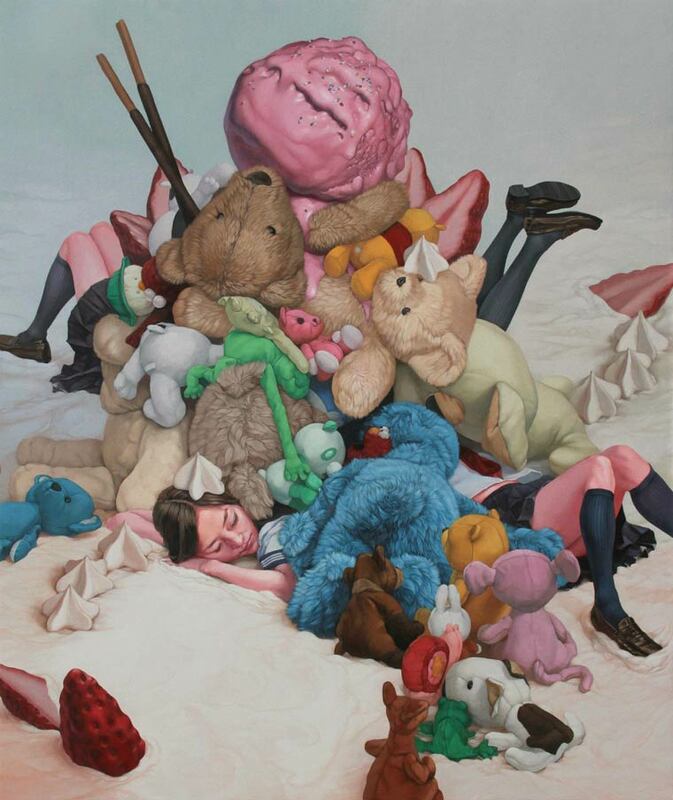 Interspersed with themes of innocence, decay, and suicide his paintings are far deeper than they seem at first glance. The sugary landscape belying the darkness below.